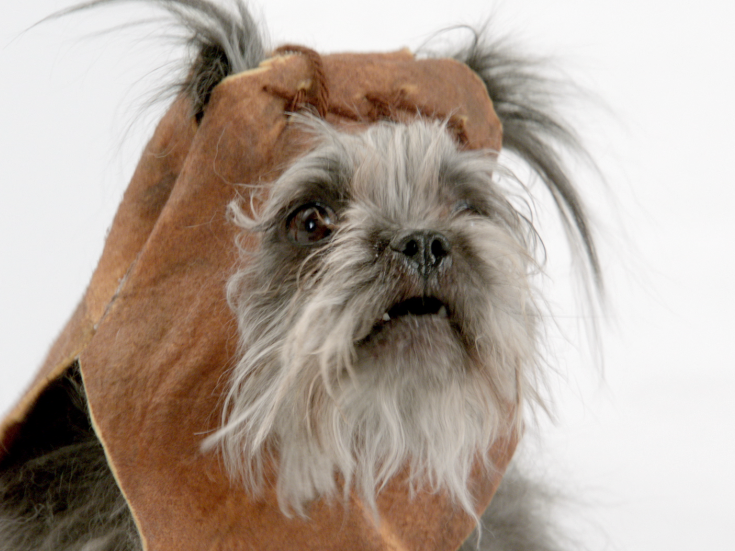 'The Bark Side' Tells Of Super Bowl Ads To Come How do you top last year's mini-Darth Vader Super Bowl ad? Use the Force. And several barking dogs. That's not all it takes for success, though, so one ad agency is breaking from the pack — again. Say you're the ad agency behind last year's most memorable Super Bowl commercial — a spot for Volkswagen in which a little boy, dressed as Darth Vader, starts his Dad's new Passat with the Force. The ad was a huge success. The little boy became an overnight star, the ad won several awards, and today it's been viewed online almost 50 million times. The ad achieved all that success because the agency behind it, Deutsch LA, did something revolutionary in the ad world: It put the spot on the Web a week before the big game. "People were even more excited about waiting to see [the ad] during the game because of that," says Mark Hunter, chief creative officer at Deutsch LA. But its success came with a problem. This year, any agency worth its salt is pre-releasing its Super Bowl ad. "It's totally de rigueur now," Hunter says. "You have to pre-release your spot. You'd be mad not to. And our thinking was, well, you know, we need to remain one step ahead of the game here." So they took that iconic Star Wars music and added dogs. The result is a perfect viral recipe. Cute pets, Star Wars and instant re-watchability as you look for an edit or a clue to how it was done. Hunter says the dogs were shot individually, then looped and edited together into one composite shot. But their barks are the real thing — no Auto-Tune. "We simply got as many facial expressions as we could visually and had them bark as many times as they could as many different ways, and an editor wound up stitching all the sounds together," he says. "Those are the real dog barks, absolutely." The dogs starring in "The Bark Side" were shot individually, then pasted together, says Mark Hunter, Chief Creative Officer at Deutsch LA. One thing that's not as it seems: This ad isn't really an ad. It's a teaser for Volkswagen's Super Bowl campaign, which will also include ads pre-released online closer to the big game. That's right. An ad. For more ads. For an ad. "This really is a creative arms race when it comes to the Super Bowl," Hunter says. "We know that a lot of the competition who were just waiting — and maybe even thinking that they would pre-release four days ahead instead of three days — have now seen this thing out a full two weeks in advance." Lexus and Samsung are among the handful of companies with teaser campaigns this year. The endgame? Will ads for ads for ads keeping coming earlier and earlier every year? "It's a valid question," Hunter says." "I wish I could tell you we have that answer right now, but I can certainly promise you we will 12 months from now."